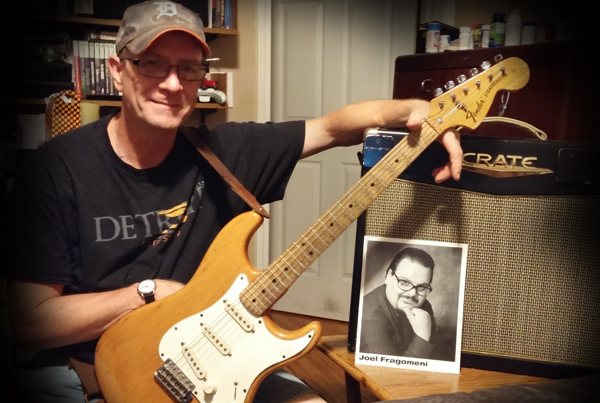 It only took 10 years or so, but comedian Jim McLean made it back to the Joel Radio studios to guest co-host on this week’s show. And he didn’t come empty handed, as Jim brought his electric guitar and amp for some musical accompaniment. Joel and Jim end up collaborating on a bluesy jam which is probably every bit as great as you’re thinking it is (it’s not). Jim also shares stories of rock and roll gigs past, how a legendary rock guitarist befriended him as a young man, and some sure-fire ways to get backstage a concert from two guys with lots of experience at it. Plus, Joel’s concert history starting with a legendary lightweight act in the 70’s through an embarrassing 80s show with his mom, to leather jackets and mosh pits in the 90s. Plus, comedians’ head shots have changed, building decks for comedy gigs and how the show’s chip tune theme songs can’t be replicated on guitar. Turn it up, man! This is a fun 90+ minutes with Jim. It’s been a busy few weeks at Joel Radio, and it’s all re-capped on this fine episode. Your host headed off to New York City to see his old college stomping grounds, get drunk with hipsters, visit museums and hang with some comedy buddies. His main objective though was to see Penn & Teller On Broadway which he did, and while sitting next to a childhood hero, no less. Hear all about the P&T show, the best things to do in New York and why a front-row ticket isn’t always a front-row ticket. Joel also attended the annual Funny or Die: Oddball Comedy Festival starring Amy Schumer, Aziz Ansari and others. Find out who were the surprising stars of the show and what unknown comics that Joel knows who might be blowing up in to very big stars in the future. Joel is joined for the show by Detroit’s own comedy oddball, the delightful Samantha Rager. Sam had to break in to her house car to get to the show, but it was worth it as Sam talks about getting bumped at a comedy show by a big star, seeing year-old movies at the dollar show, and the most adorably clueless rundown of a fantasy football team ever. Also, a Gathering of the Juggalos comedy recap, and reviews of the movies Trainwreck, Ant-Man and the ridiculous The Gallows. Plus, RIP “Rowdy” Roddy Piper, as Joel tells a harrowing tale of hosting a show with one of the greatest pro-wrestling characters of all-time. 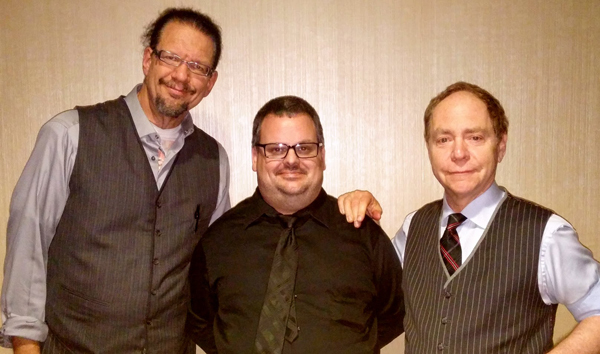 Joel is fatter than Penn and shorter than Teller! 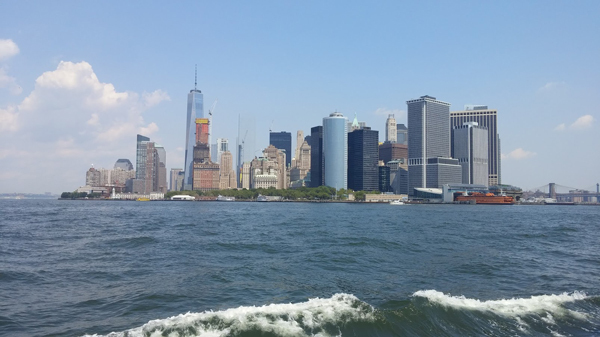 Beautiful Lower Manhattan from the Circle Line cruise. Joel actually took this picture!